Solar energy is the most basic part of life in earth. It has power to create life as well as energy. It is sustainable energy and can be harnessed into electrical energy. Solar panel are the electronic devices used to harness the electricity for solar rays. Solar panels have been used to reduce energy consumption from power grid and reduce carbon foot prints. Solar panel have been used as alternative power source all over the United States and across the globe. They are best alternative source of energy through out this period. More efficient solar panels glasses are being developed. Now, new form of photo voltaic glasses are invented to generate electricity. These photo voltaic can be used both commercially and domestically. They have most widest use in daily life than solar panels. They can be used as smart curtain with varies level of transparency. They can be controlled electronically and are best used at co-operate offices and common general use from automotive to house windows. Energy Dynamics is now providing service on Solar glass and Photo voltaic glass otherwise known as building integrated solar glass. 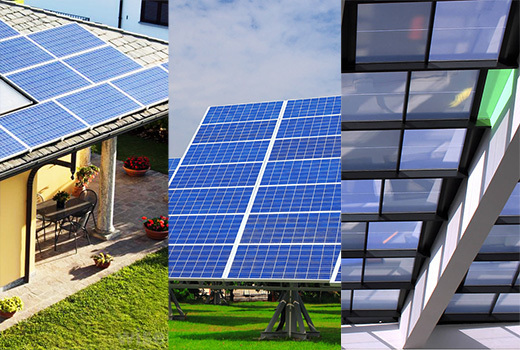 We are sole distributor of Solar Panel for Onyx Solar in East Coast and distributor of Photo-voltaic glass for Gauzy in East Coast, United States.